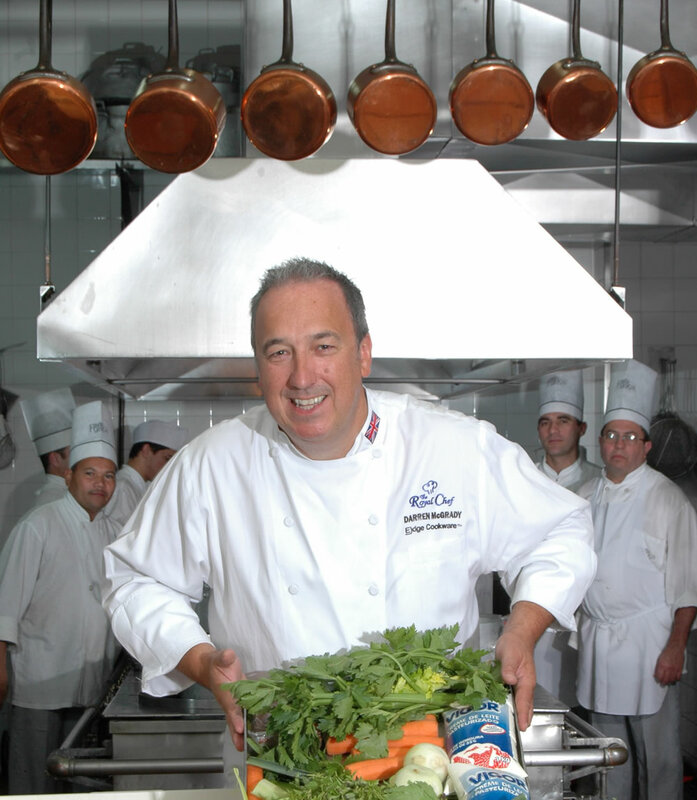 Windstar Cruises has announced that “Royal Chef” Darren McGrady will sail on-board Star Legend on a 7-day British Isles cruise in June. Darren was the personal chef to Queen Elizabeth II and Duke of Edinburgh; Diana, Princess of Wales; and Princes William and Harry for 15 years. His duties included travelling with the royal family to Windsor Castle, Sandringham House and Balmoral Castle as well as on the Royal Yacht Britannia on royal tours around the world. Darren will sail aboard Windstar’s 19 June Idyllic British Isles sailing as the Private Event Host, attending Windstar’s Private Event at Picton Castle, a 13th century castle in Pembrokeshire reserved for Windstar guests to explore while enjoying appetizers, sparkling wine, and music from a Welsh choir. Back on board that evening, Darren will prepare a three course “royal feast” for guests, taking time before each course to explain his selections and techniques while telling stories from his time cooking at Buckingham Palace. Additionally, Darren will host an afternoon tea on board during the sailing, answering guests’ questions and sharing his favourite recipes and cookbook. This year Windstar Cruises’ itineraries feature an onshore ‘Private Event’, created exclusively for Windstar guests. Darren is the second Private Event Host announced in 2015, with Olympic Swimmer Mark Spitz serving as host of the Prickly Pear Beach Private Event on the Yachtsman’s Caribbean Voyage in January. Mark conducted a series of swimming master classes for guests while they also enjoyed a cocktail classes, beach BBQ-fare, and music. Other Private Events in 2015 include a wine tasting and tour in Italy with traditional Sicilian lunch; tapas and folk dance lessons; and an equestrian ballet and sherry tasting, among others.